Anant National University, Bopal-Ghuma-Sanand Road, Ahmedabad, India 382115. The travelling exhibition on Built Environment from Japan has chosen Anant National University for its halt in India. 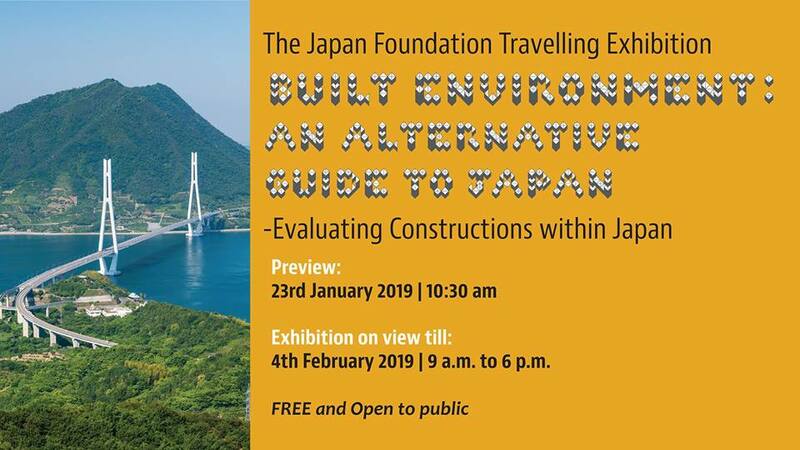 The exhibition sets out to evaluate constructions within Japan as the product of a dialogue between historical background and spatial context, introducing a total of 80 intriguing buildings, civil engineering projects, and landscapes from the perspective of built environments. Titled as Built Environment: An Alternative Guide to Japan, the travelling exhibition uses photographs, texts, and videos to introduce at least one offering from each of Japan’s 47 prefectures. The exhibition is open for public viewing from 24th January to 4th February, 9 a.m. to 6 p.m.